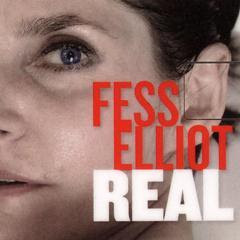 Fess Elliot is a solo artist, putting together songs that can sound like traditional folk and indie, but other times incorporate electronics to the composition. I found myself enjoying the tracks that leave the electronics behind and just display the raw songwriting. The release came on a flash card (a usb device the size of a credit card) but contained no lyrics which I thought was a little unusual. The soft chords and smooth vocals on "Everything" open things up and I found myself wishing the track was longer. "Little Lies" has a quiet, but powerful way to it that falls more into the traditional folk neighborhood of things. We see this same style adapted again later on "Sweetly" ,"Dickless Boy" and "Dogs" where it's pulled off with little to no effort. "Shake Me" is made up of strummed power chords, forgoing the typical folk picking guitar style. It creates a bit more urgency and anger which is translated throughout the song. "Real" carries that same upbeat style, but has a brighter sound to it, featuring a very catchy hooked chorus. The formula didn't work as well for me on "Explode With Happy, Man" where the verse seemed to take the Nirvana qualities a little too far. "Go Pink" takes a detour to use a more airy sound, featuring reverb ladden vocals and guitar. The melody itself is stretched out to add to the effect. There's times here, about 1:50 or so, where I'm getting a Tori Amos vibe here. The song is definitely a standout from the rest of the record, but works well. The "remix" tracks didn't really work for me as much. There are some great moments on them though. "Real Remix 2" and "Fingerprints Remix" were the highlights of the batch for me. Perhaps it's that the tracks have more than just electronic drums, but also add extra instrumentation and small pauses to create dynamics and emphasis. You can check out some of the tracks here.